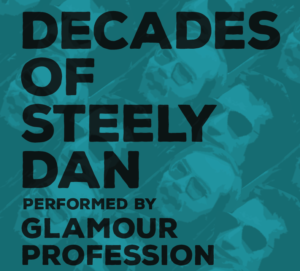 “Decades of Steely Dan” show announced for Friday, April 26, 2019 at 8:00 pm at La Nouvelle Scene in downtown Ottawa!! Tickets $33 (incl taxes and fees) available for purchase here or at 1-888-790-147 (add’tnl fee applies for phone orders). Welcome to GLAMOUR PROFESSION! We are an Ottawa Canada-based band committed to the music of Steely Dan. Check out our video — recorded live in-concert! Our mission is three-fold, to honour the unique and sophisticated sound and spirit of Steely Dan, to enthral new and existing fans, and to have a great time in the process. We receive great praise from our amazing audiences!